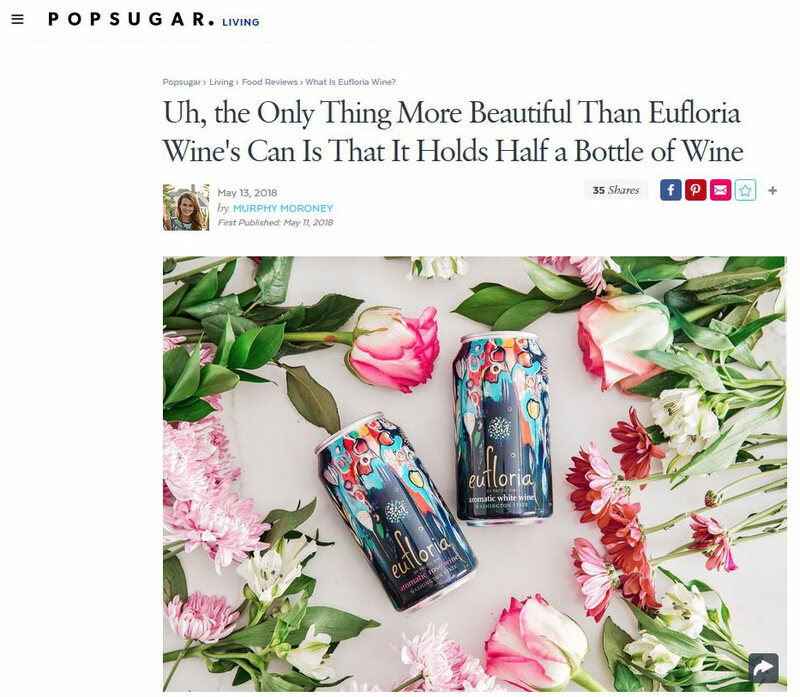 I’m not going to lie, when I first opened the box of Eufloria wine from Banfi Wineries at my desk, I immediately noticed how gorgeous the can’s design is. But after making a quick mental note of the gorgeous details by painter Flora Bowley, I jumped back into my work and didn’t think about them much more until 5:30 p.m. rolled around. I slipped two cans into my backpack and headed to the gym. Upon cracking one open and sipping away later that night, I made an incredible discovery — each can holds the equivalent of half a bottle. Given the fact that this all went down on a Wednesday night, I was equal parts alarmed and intrigued, because by the time I put this together, I was already halfway done with my dainty can. Whoops.